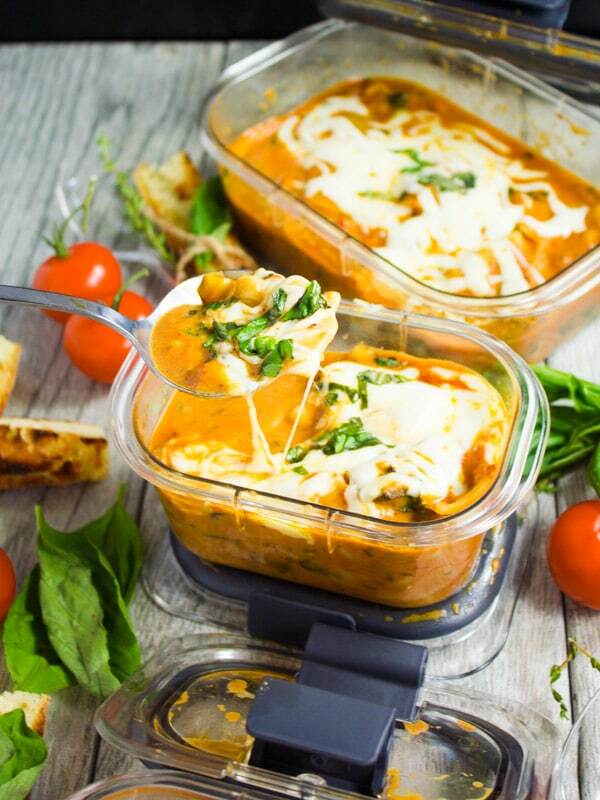 This Lasagna Soup is everything you love about Lasagna, in one bowl! 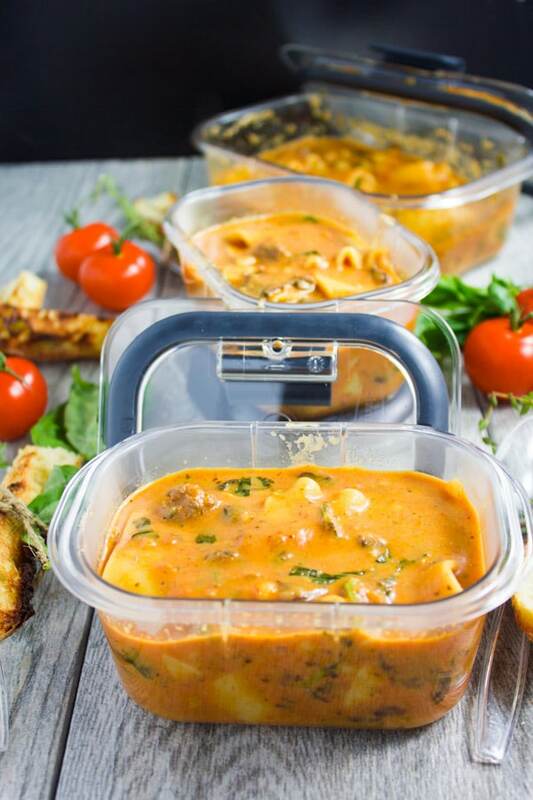 You will love this comforting soup twist on an Italian pasta classic loaded with lasagna noodles, mushrooms, tomatoes, and an ooey-gooey melted cheese topping! Love Lasagna? Love Soup? Then you’re about to fall madly in Love with the Best Lasagna Soup recipe! It’s everything you dream about in a lasagna with bonus extra thick creamy tomato basil sauce. Time for more soup. We’re making the Best Lasagna Soup Recipe. Like ever. Soup has to be one of my favorite things about this season and I know I’ve mentioned this before but soup really does cheer me up any day. I’m not sure what is, I feel it’s just pure comfort. So let it rain, let it snow, let it be..I’m having my bowl of soup with a big smile on my face :). The first time I had this lasagna soup recipe was a couple of years ago at the cooking school. There was a visiting chef from Italy who made all sorts of Italian American twists on Classic Italian food, and this lasagna soup was one of them—it was my favorite one! I’ve been making it ever since and I’ve twisted it a touch to make it creamier and thicker..and I have to say it’s ALWAYS a hit. Kids love it, grown-ups love it, and you’ll absolutely love it too! Delicious, heartwarming, comforting, filling and much easier and quicker to make than classic lasagna. It’s a real crowd pleaser with kids and adults—every sip is pure Love! So if you haven’t you tried lasagna soup before, well it tastes just as drool-worthy as it sounds! So there. I warned you. To me, it’s better than a plate of lasagna. It’s like lasagna with plenty, and I mean plenty of sauce. Thick, creamy tomato sauce. Start by just sautéing onions, garlic and minced beef (optional—you can make this totally meatless or use ground turkey/chicken too). Add some Italian spices in shape of plenty of oregano and basil. And now add your crushed tomatoes, stock and bring the mixture to a boil. Once it boils, add down the broken lasagna noodles—I just use my hands and break up the sheets of lasagna into a little less than an inch wide pieces ( this is optional how big/small you break down your pasta). Then you’ll add in the lasagna pieces into the soup and let it cook for about 12-15 minutes. You really don’t need an al-dente experience here, so make sure the pasta is cooked well. Now you’ll go in with creamy ricotta cheese—and as it melts in the bubbling tomato sauce, it will turn creamy dreamy pink and extra luscious! Then finish the lasagna soup off with plenty of chopped fresh basil. For the authentic lasagna feel, sprinkle some grated mozzarella and Parmesan cheese over the soup and more fresh chopped basil. Now it’s time to sit back and ENJOY! 🙂 PS–in case you’re wondering about those containers, I got the Rubbermaid Brilliance line because it had claimed to be leak proof. So I naturally had to test it! 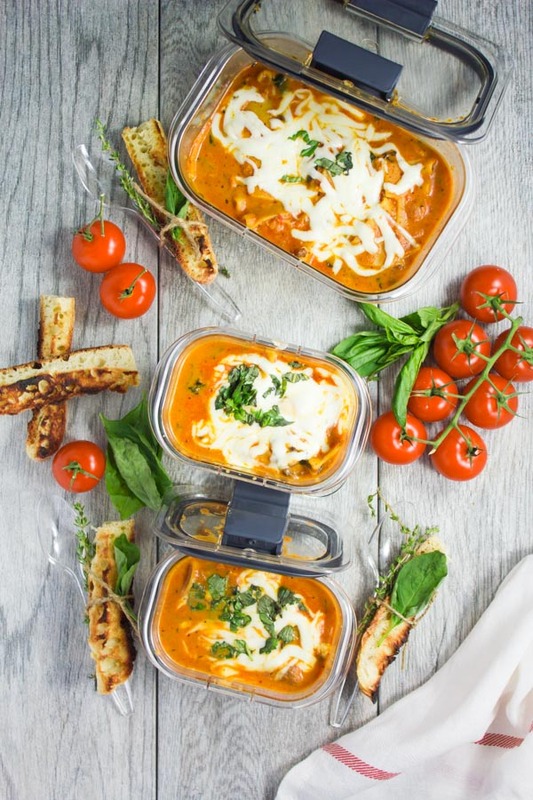 I’ve packed the Lasagna Soup in them and went over to my friend’s house, they were seriously leak proof and amazing!! 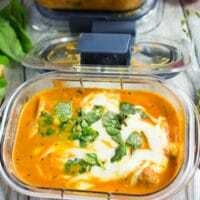 Make this lasagna soup asap and it’ll be your go to for comfort, or whenever you crave lasagna! While we normally aim for al dente pasta, for this recipe we want to make sure to cook the lasagna sheets until soft! For a creamier lasagna soup, add more ricotta cheese. If you’re out of ricotta, try mascarpone or regular cream cheese! This soup is easily made in advance and keeps well for 5 days! Also try freezing the soup for up to 3 months. 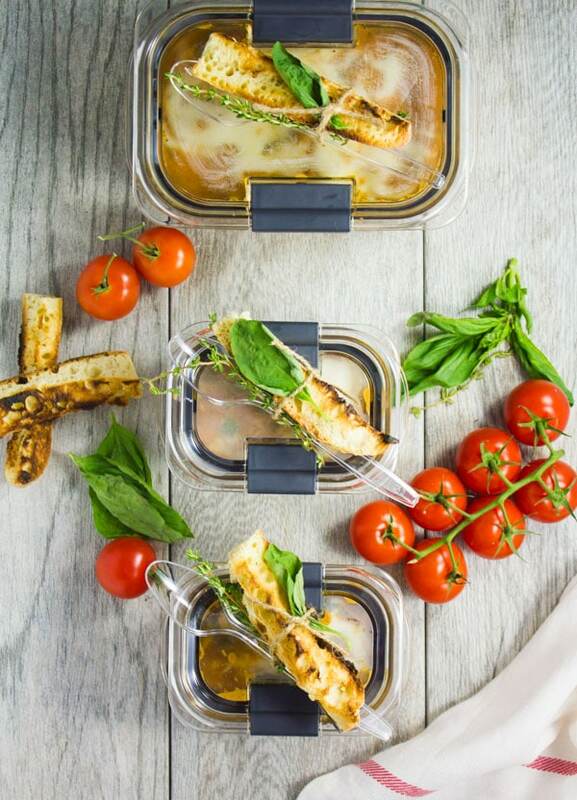 Try making a chicken version of the lasagna soup using store bought rotisserie chicken for convenience. White Bean Soup Recipe – hearty, filling and pure comfort too! Quinoa Sweet Potato Lentil Soup –a meal on its own! Soothing Garlic Chickpea Soup -chickpea lovers, this soup is addictive and it reminds me of Turkish street food! Creamy Peanut Soup with Peanut Crunch Herb Pistou –this one sounds unusual but it’s an African classic, and it’s my favorite savory peanut butter recipe! In a large pot over medium-high heat, add the olive oil and wait until it warms up. Then add the diced onions. Sautee the onion until they soften up—about 2 mins. Add the minced garlic and sliced mushrooms and sauté for another 2 minutes until they’re fragrant and start sticking to the pot. Add in the ground beef, salt, pepper and oregano and sauté over high heat until the meat is fully cooked and any liquid has evaporated. Add the tomatoes, stock, basil and more oregano and bring the soup to a boil. Allow it to boil for a few minutes and then add the lasagna noodles. Mix the noodles for a few minutes and then let them cook for about 15 minutes until tender. Add in the ricotta cheese and keep mixing it in gently until it completely dissolved into the tomatoes sauce. Turn off the heat and add in the fresh basil and mix it well. Serve the soup sprinkled with some grated cheese if you like. Taste for seasoning and adjust with some extra salt and pepper. Isn’t that true Jannete! I agree! 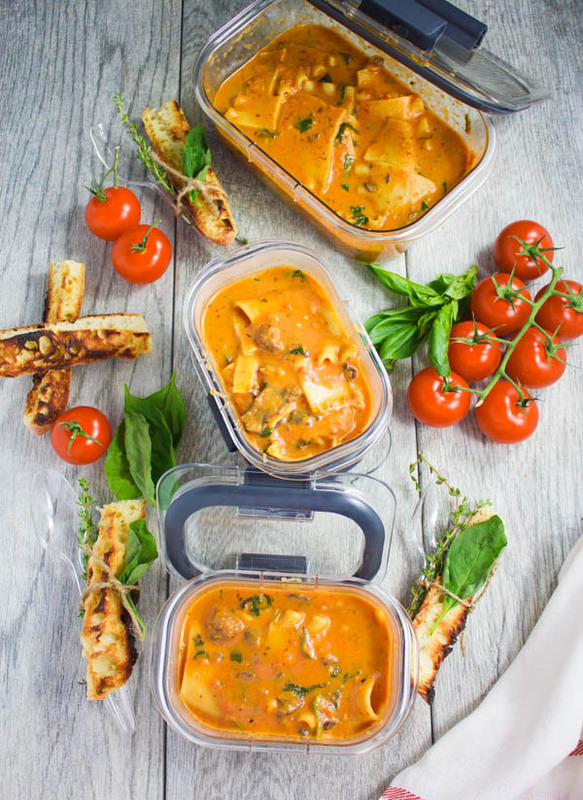 And these Rubbermaid Brilliance containers seriously pass the test! 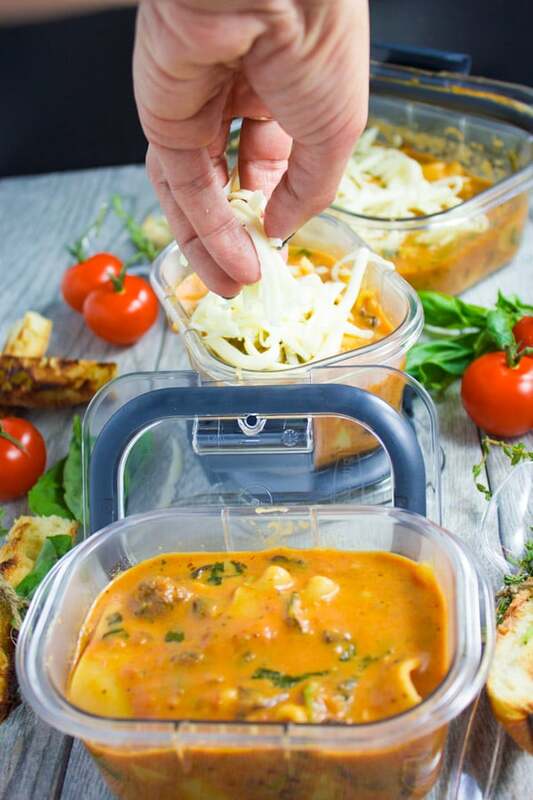 Oh my goodness Sue you need to find these Rubbermaid Brilliance containers! I’ve never managed to have Soup on the go except for NOW!! They’re brilliant! 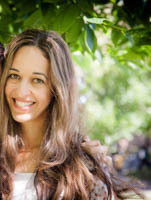 Hi Cyn–they’re absolutely the BEST you need to try them, and the lasagna soup is a perfect way to start! 🙂 Thank you!